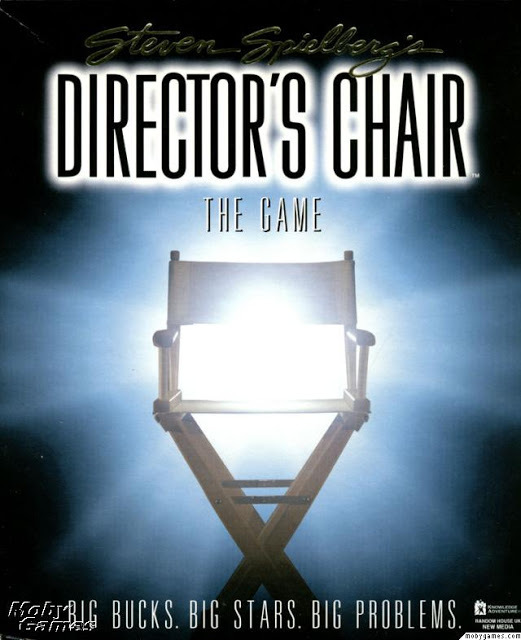 Who Remembers Steven Spielberg's Director's Chair On CD-ROM? 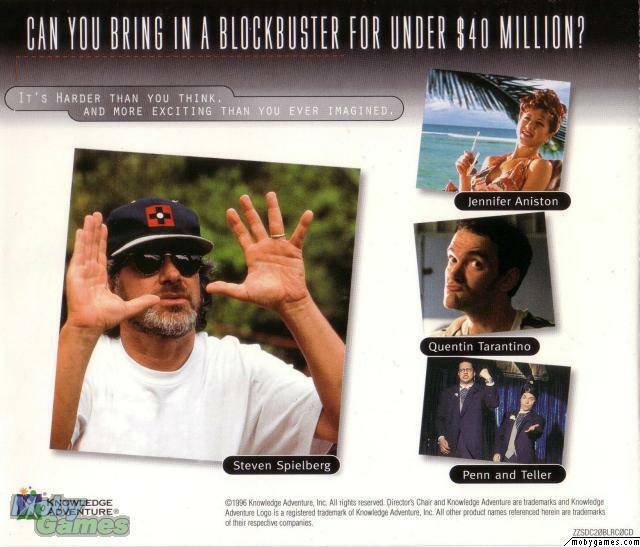 Who remembers that Steven Spielberg project with Jennifer Aniston, Quentin Tarantino, Katherine Helmond and Penn and Teller? It was a CD-ROM interactive game for PC and Mac called Steven Spielberg's Director's Chair. You chose the cast, the script and the camera angles. 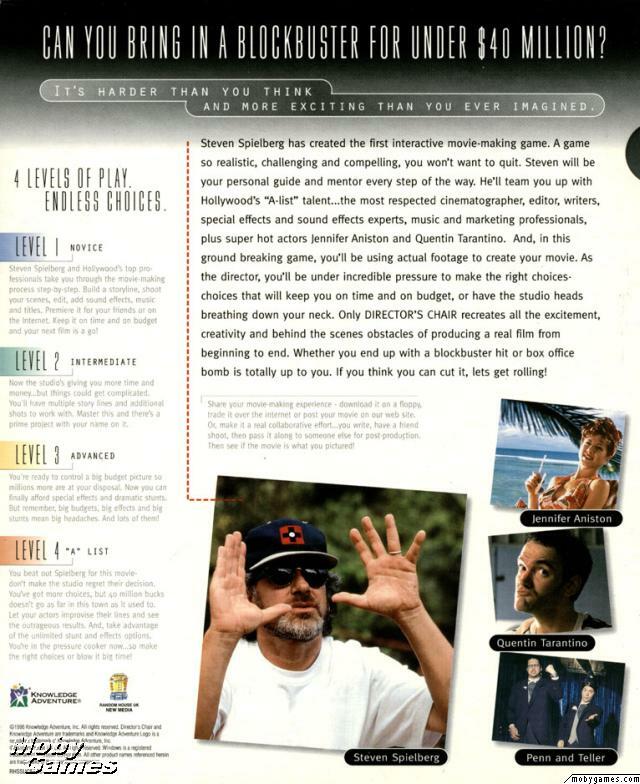 It was released in 1996 and Spielberg appeared throughout the game guiding you and giving you tips. 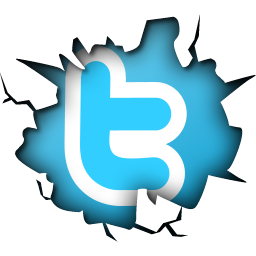 Hollywood professionals such as editor Michael Kahn, special effects supervisor Michael Lantieri, and cinematographer Dean Cundey were also in the game to give you advice. You started with a small budget and a personal assistant who guided you along the way. 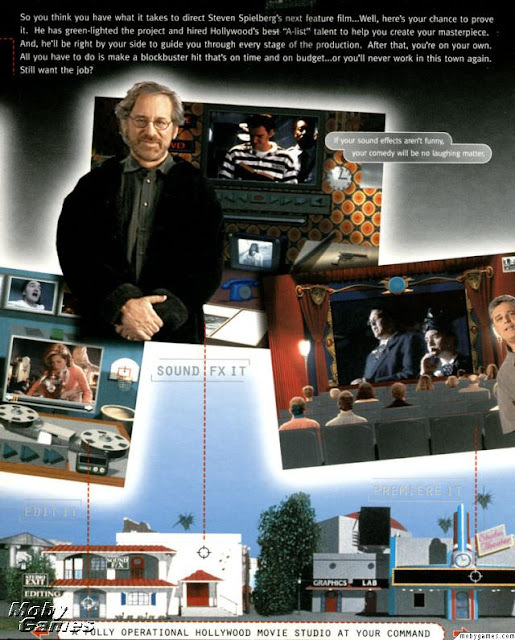 Spielberg gave you a pep talk before you're left to work on your first feature. Ted and Terry (or Terry and Ted) offered you useful suggestions on changing your script. Delays were inevitable and cost you money but before you knew it you were doing your first shoot with Quentin Tarantino and Jennifer Aniston. For good measure Penn and Teller were on board too. Dean Cundey who was the director of photography on Apollo 13 and Jurassic Park were there to keep everything working and within budget. After taking your film to the editing room where you could choose the angles and got to grips with the tools you had such as adding sound effects, off the wall editing and adding a soundtrack you were ready for your movie to go live. At the premiere, Steven Spielberg himself would present your work and made you feel like you've really achieved something special. The studio usually gave you a thumbs up and a chance to do the whole movie again but this time with a bigger budget. 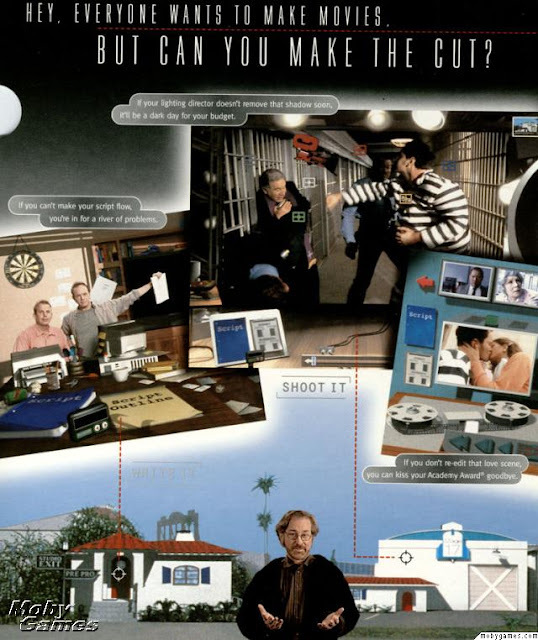 I had this game and spent hours perfecting my movie and feeling frustrated that I was restricted to the same story and shots. Great for the time though and a bonus it featured my favourite director. Check out this video showing scenes where Steven Spielberg appears, interviews with the cast including Mr Spielberg and also the premiere of the game.